Sorry for the non-existence! I don't know where the time has gone.... Please note - I've been sewing a lot but it's just not here. It's all on Instagram. I'm sunnyincal. So if you're curious as to what I've been working on.... You can take a look over there! In about a month, I'll be reuniting with some of my favorite sewing buddies at Sewtopia in Salt Lake City, UT. Or as Amy likes to call it, SL, UT! I wanted to make a new purse, but made it way too big, so I turned it into a large tote. 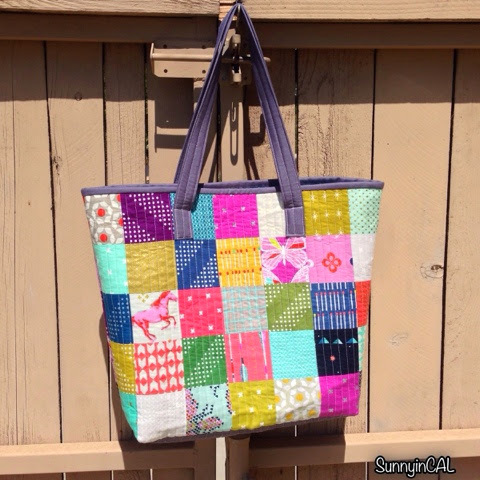 I'm calling it the Perfect Patchwork Tote because it's perfect to take everywhere. So here's a tutorial. 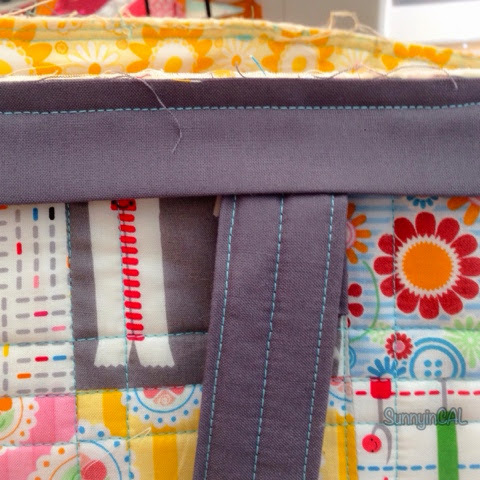 There's quilting involved as well as binding. But, you don't have to quilt it. 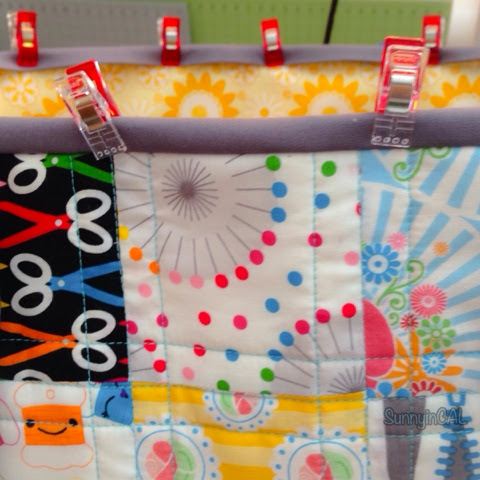 Fusible fleece and Soft & Stable are great alternatives. 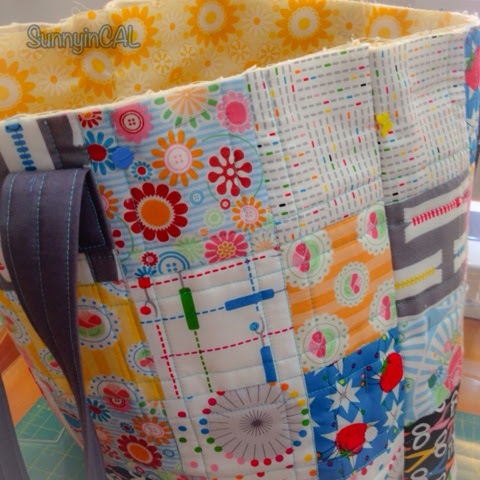 The final size for this tote is roughly about 15" x 15" with a 6" gusset. For this tutorial, you'll need the following. 2 pieces of batting strips = 31" x 1"
2 pieces of batting = 24" x 22"
2 pieces of utility / duck cloth or canvas = 24" x 22"
I'm using all Happy Zombie fabric because it's been begging to be cut. I combined Sew Yummy & Happy Mochi Yum Yum. 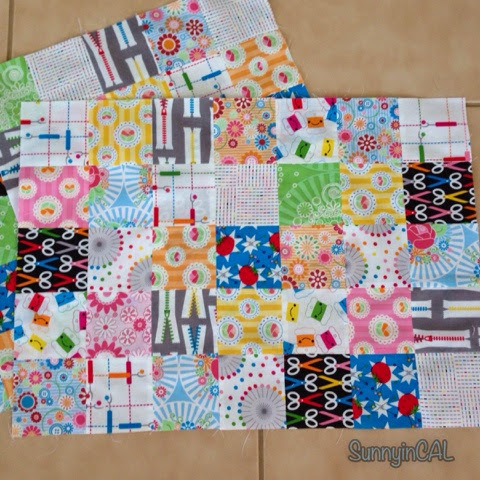 Begin piecing your 3.5" squares with 7 squares across & 5 squares down. For a total of 35. Make two of these panels. Repeat for the other panel. 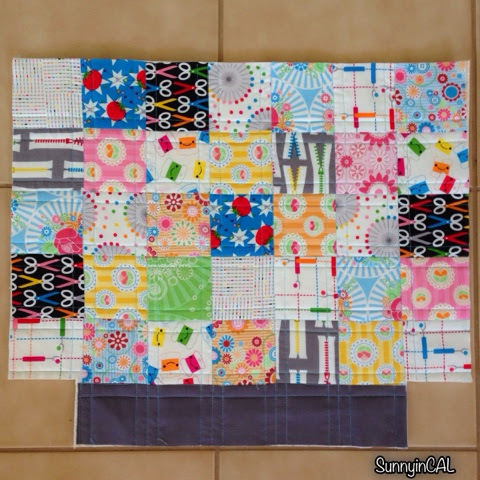 Quilt your panels as desired or use some sort of interfacing. I used canvas with batting because I like the stability it gives. 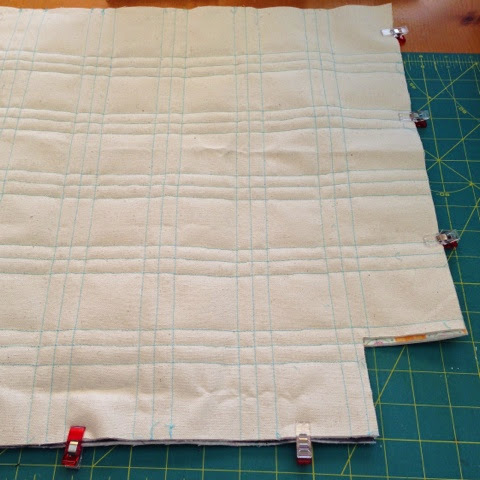 Once you've quilting both panels, trim all the sides. Cut a 3" square on the corners on both panels. 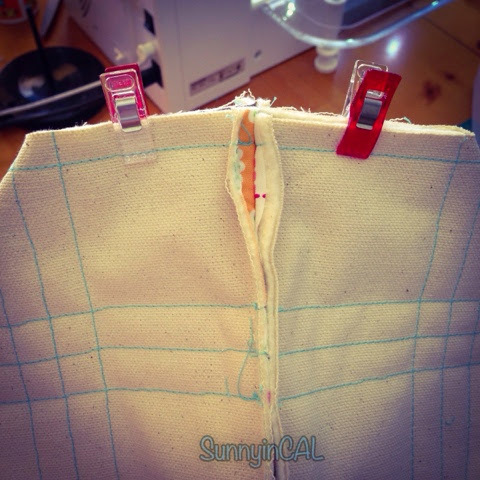 Place right sides of your panel together, sew the sides and sew the bottom. 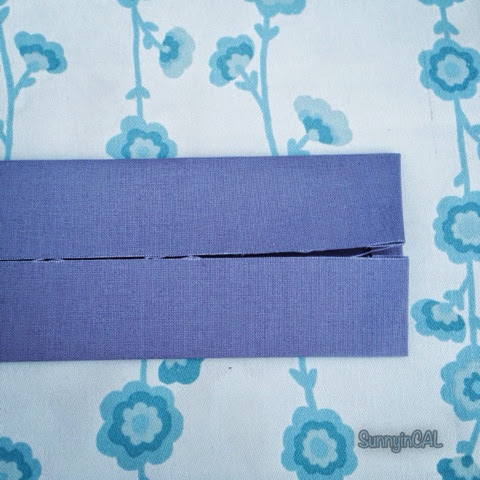 Now, sew your corners together like this. This will box your corners. Straps - You will need your 2 - 32" x 5" pieces and 1" batting strips. 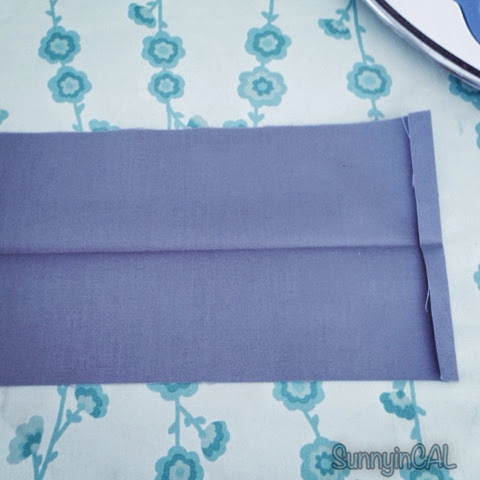 (You can use interfacing instead of batting.) Press about 1/4" like this at the end. Do the same for the other end. This hides the raw edges. the same way you'd make bias tape. Now insert a strip of batting into one side. Use a washable marking pen. 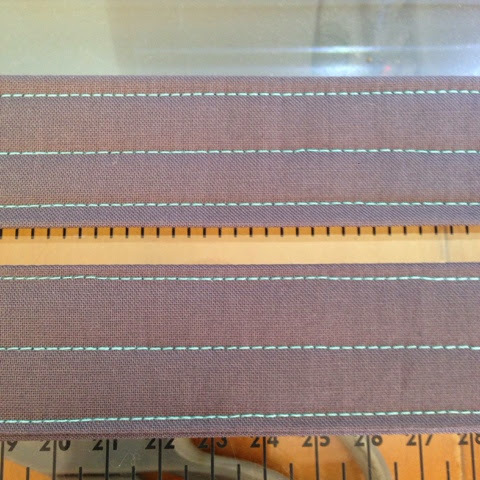 Mark 2 lines on each side of your topstitched straps. 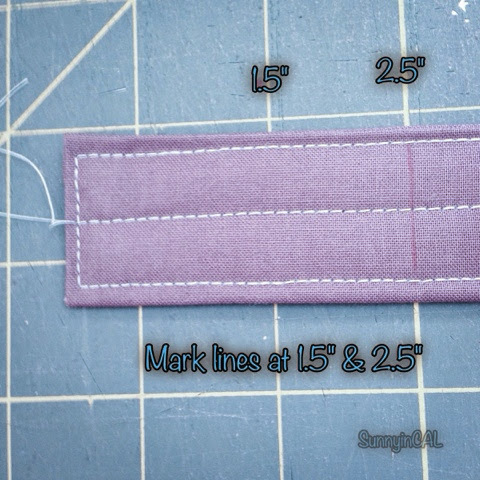 1.5" and 2.5"
2.5" is where you line up the strap at the top of the tote and the other line is where you will attach / sew it. Place & pin one end of your strap between square 2 & 3. 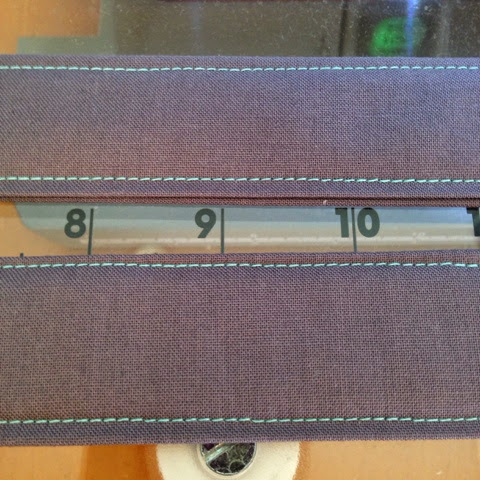 Place & pin the other end of your strap between square 5 & 6. 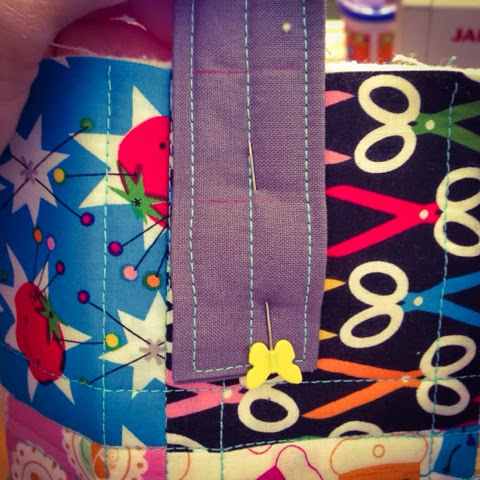 Sew your handles to the tote - I like to stitch the top area at least 2 times because that's usually where it will get loose. I topstitch the same lines where I already stitched when I made my straps. 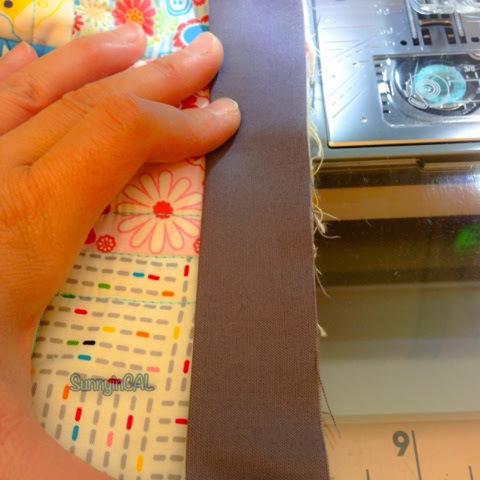 Lining - If you're going to add a pocket, place the 2 - 11" x 7" pieces and place them right sides together. Stitch 1/4" all the around leaving a 2" - 3" opening. Turn it out and then press. 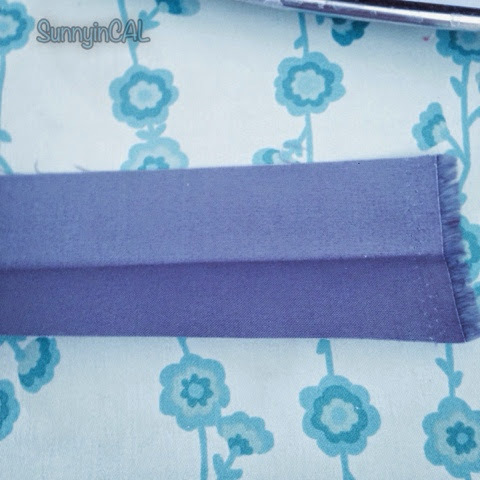 Place your pocket about 2" from the top & center (width) of the lining. Pin & topstitch. 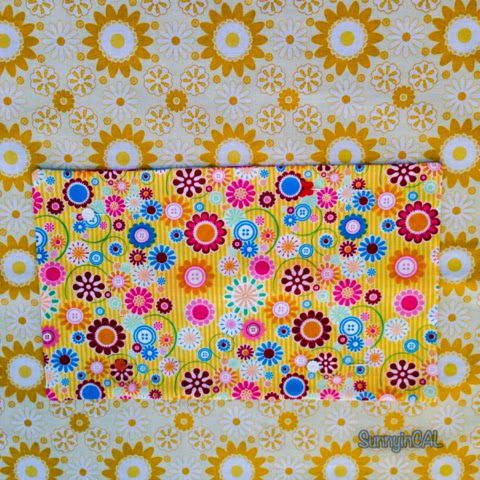 I added a stitch down the middle to make 2 separate pockets. Again, totally optional. 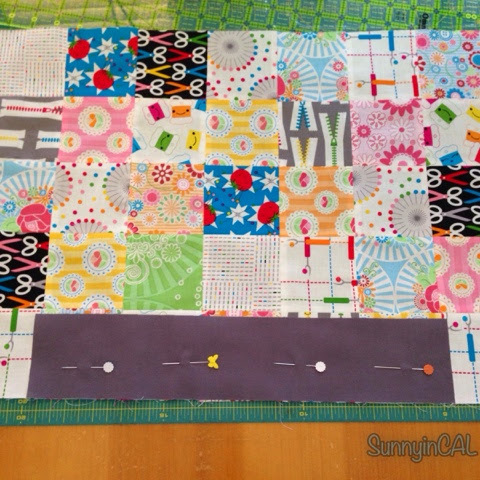 Next, let's sew on the bottom strips. Do the same thing we did for the tote. Center it and sew. 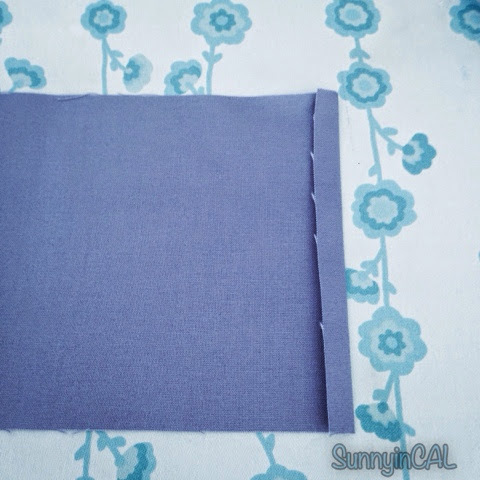 Sew your sides together and then the bottom. Box your corners the same way we did before. It should look like this. 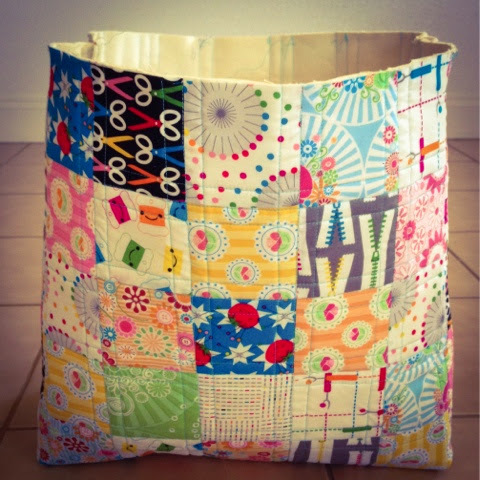 Place your lining into your tote and pin it. 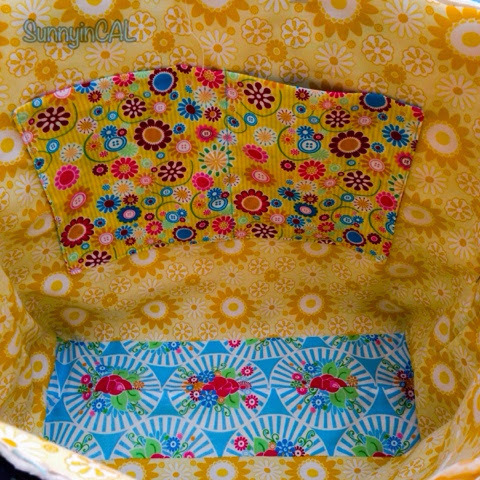 2.5" x WOF will be just enough to binding your tote and lining together. 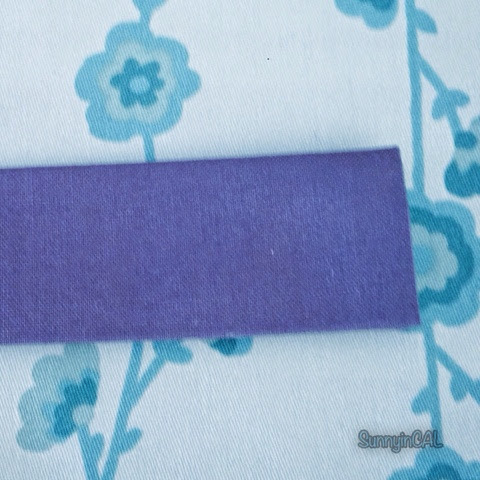 Fold your 2.5" strip and press - like you're making binding. 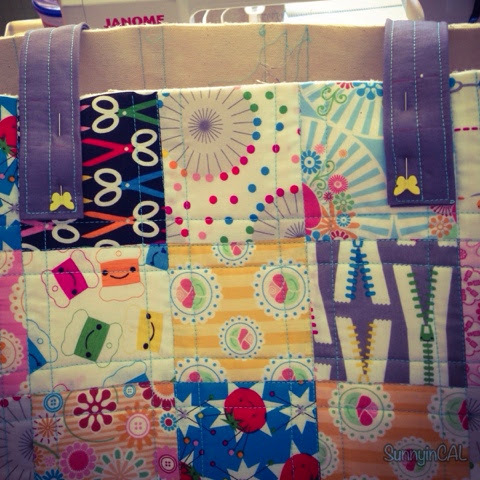 Attach the binding onto the tote just like you would attach binding to a quilt. 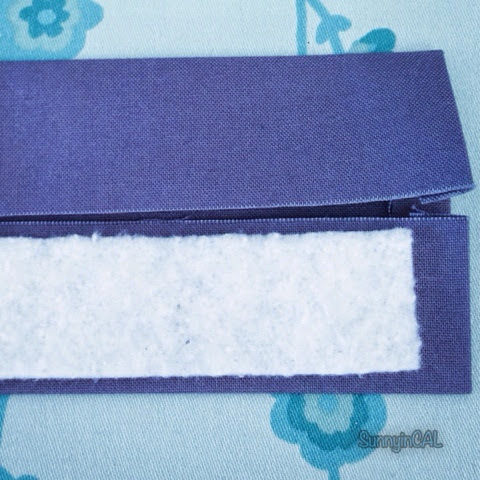 Leave a few inches before sewing it on so you can attach the ends together. Again, just like binding a quilt. 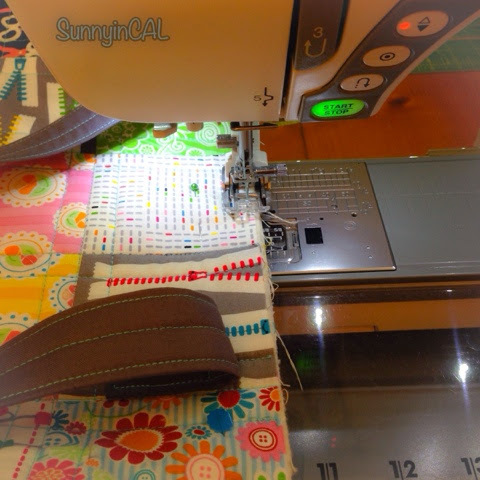 Once you're done, fold over and hand sew it or machine stitch in the ditch. That's it! Here's a different one I made using all Cotton & Steel fabric. I hope you enjoyed this tutorial! If you make one, I'd love to see it. 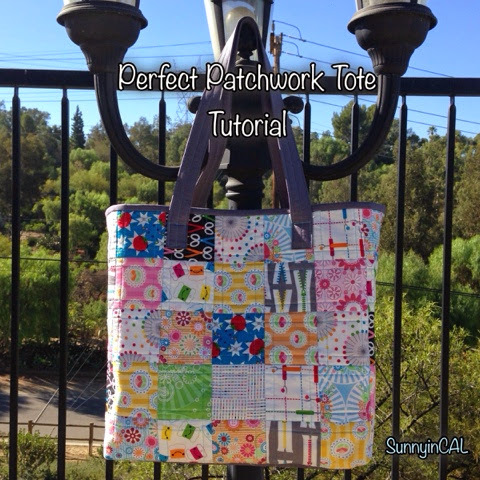 Use hashtag #perfectpatchworktote. Happy Sewing! You've been sewing is a bit of an understatement from what I've witnessed on IG - amazing things have been happening there and I'm so glad to get a peak at them. 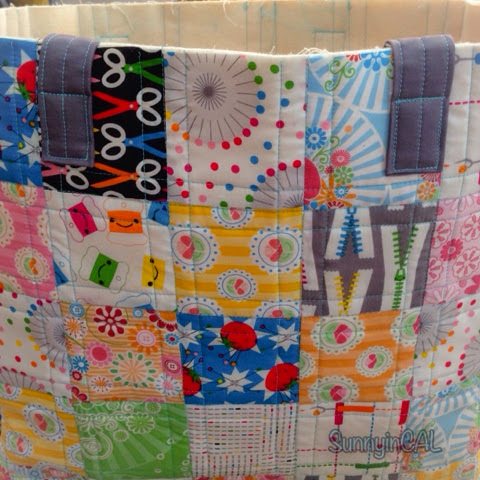 Thanks for the tote tute, I've got my hopes on a new travel handmade for QuiltCon. Have a blast at Sewtopia.